That’s right, I said virgin. 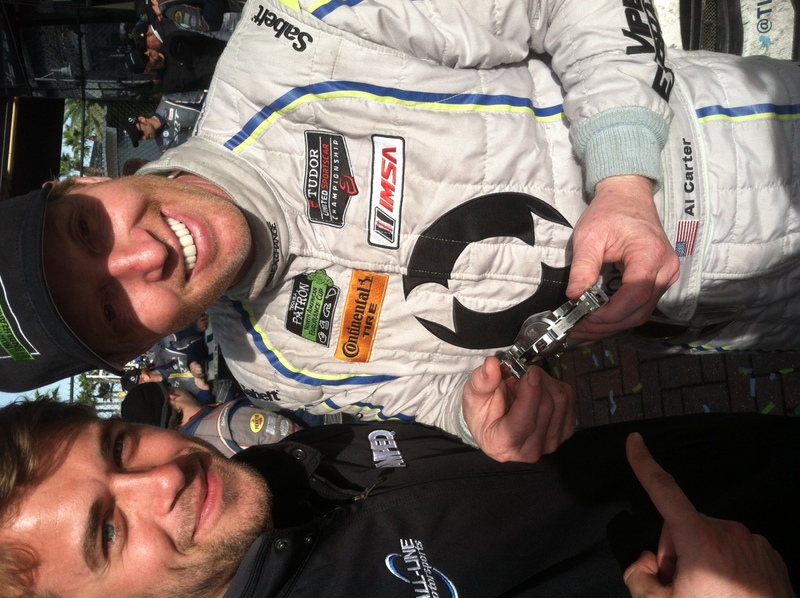 No, not the kind of virgin you are usually thinking of, a virgin of the Rolex 24hr at Daytona. It was quite amazing, even for someone who is mostly known for his rally and drifting exploits. 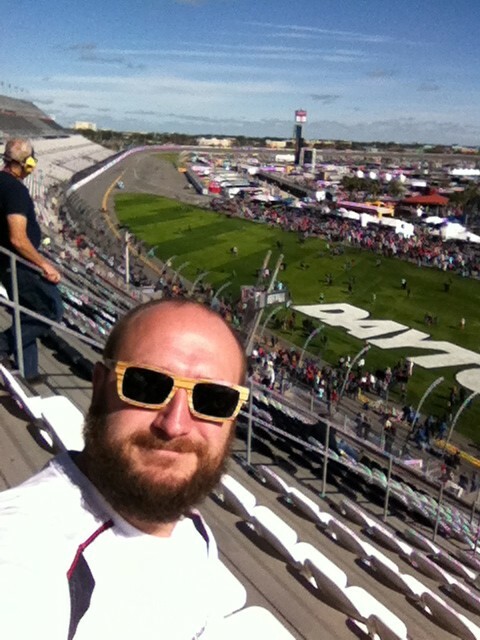 I arrived only about an hour or so before the start of the race which was at 2:11pm Saturday. The sun was shining and temperature was warm in the high 60’s or so. Then came the parking… I was across the street in Lot 3 in the last row, furthest from the race as I could possibly be. 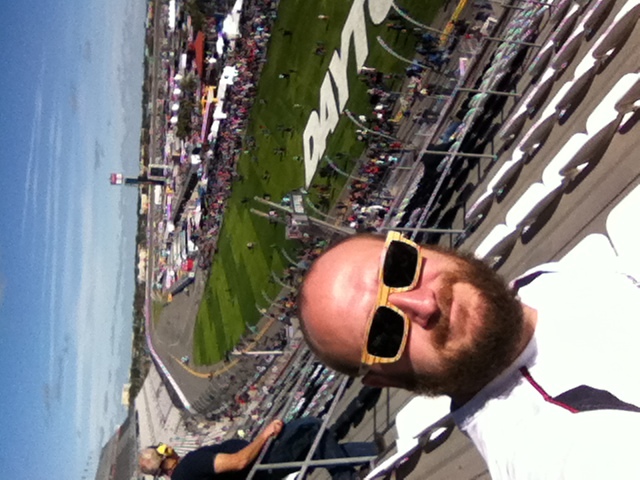 After a long walk and through security I was able to get into the grand stand where I decided would be the best start for the race. Being in a high position, this was probably the best place to watch the race from as you could see just about the whole track. 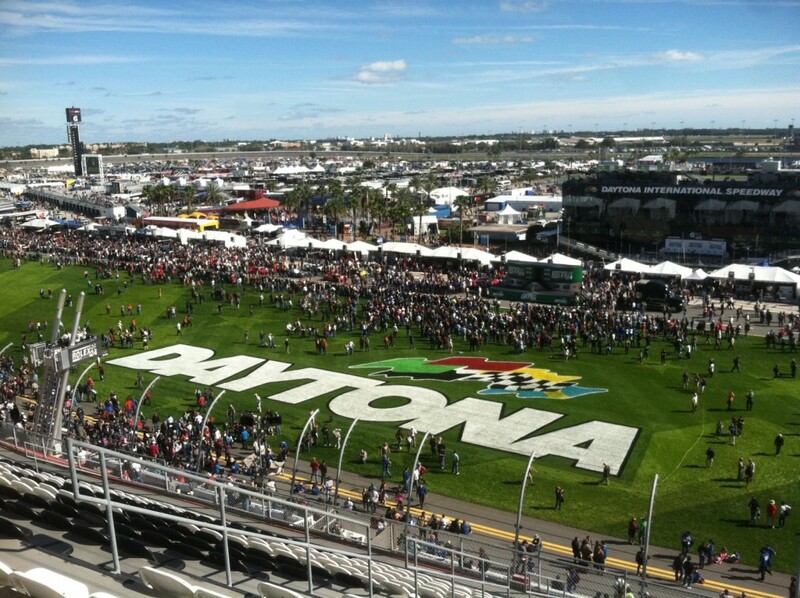 You get a great view of the pits, the infield, the cars coming over the start/finish line at crazy speeds and that iconic Daytona labeled grass! Just be sure if you are staying there for awhile you bring something to not get burned by the sun. From the grand stands to the infield is a fairly long walk or you can take the tram if you are not wanting to walk miles. The walk is actually quite enjoyable and you can feel the buzz of not just the cars, but the crowd of people around you that are also walking in. Everyone is amped up and ready to watch some awesome racing and talking about all kinds of cool car stuff and racing in general. 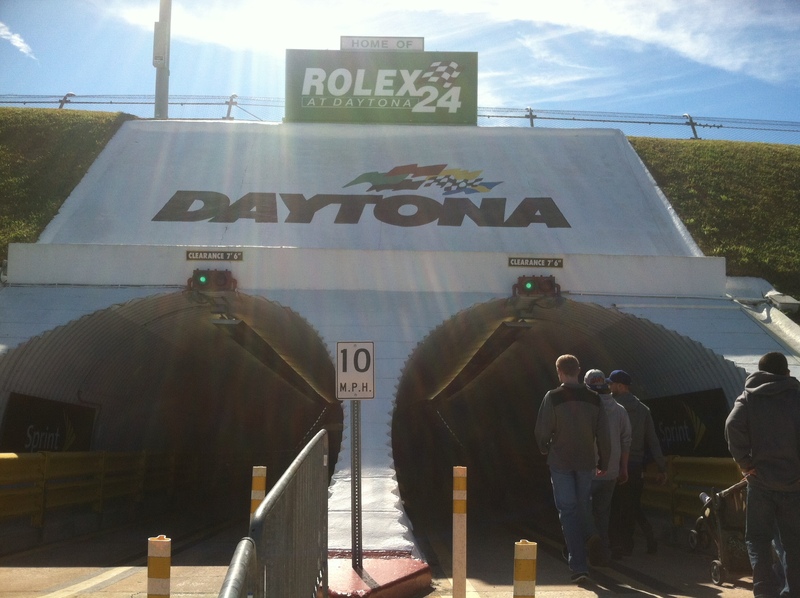 Walking down through the tunnels, under the track to the infield is pretty cool as the cars are driving above you. The infield presents an array of things to do from the Sprint Fan Zone with old vintage and well known cars from the winner circle of years past, to manufacturers displaying new product and handing out shirts and hats and key chains and things, to carnival rides and some food and beer trucks of course. 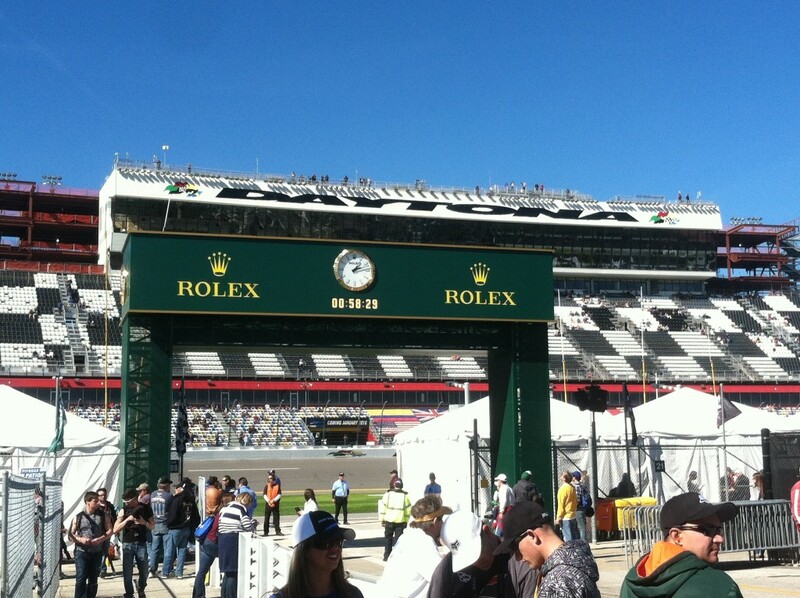 I watched a few hours of racing on Saturday walking around the infield in various spots, which was great to see the difference between the race on Friday vs. the Rolex cars. As the sun fell, temps followed and it quickly got to be near freezing. The teams all suffered from the temps overnight with just fighting to stay awake and even the cars were suffering from cold rubber. Lots of crashes ensued with everyone struggling to stay focused. I went home around 9pm as I didn’t have the right clothes for this kind of weather and went to dinner at the Chart House with some friends from an ST team that ran on Friday. Walking the garages Friday night after the GS/ST race I ran into an old rally friend of mine, he is an engineer from Chrysler Corp and was there to support the Dodge Viper teams. 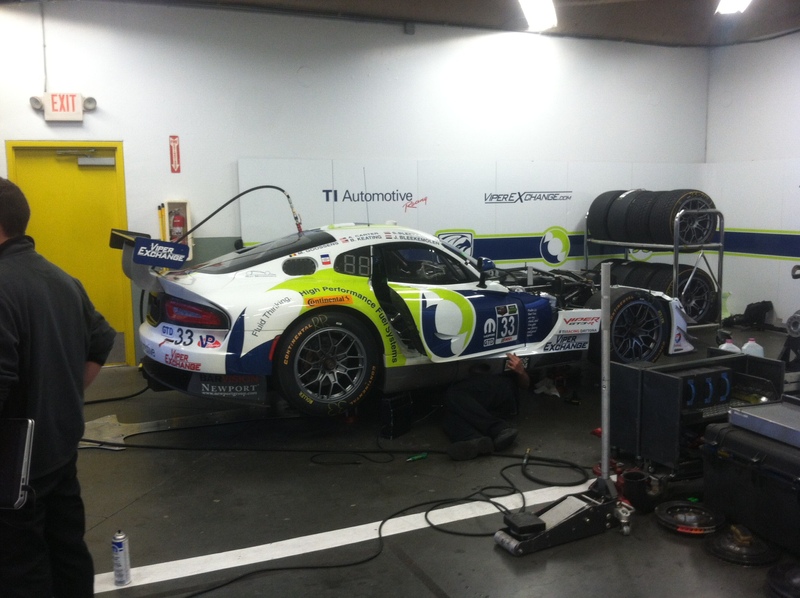 He was generous enough to offer up hanging with the Viper team and was able to walk in their garage and see some things most spectators were not allowed to over the weekend. 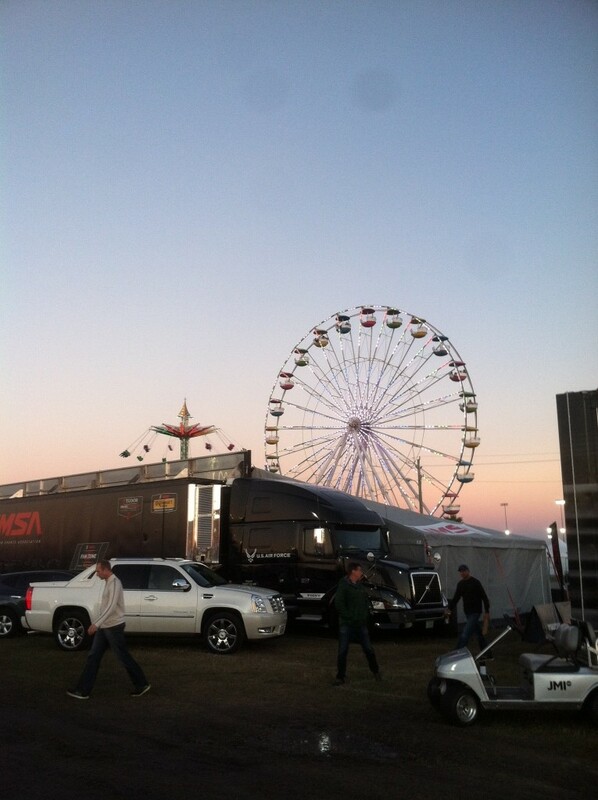 Sunday started on the infield around noon for me after a night of an insane meal and partying at the hotel bar. 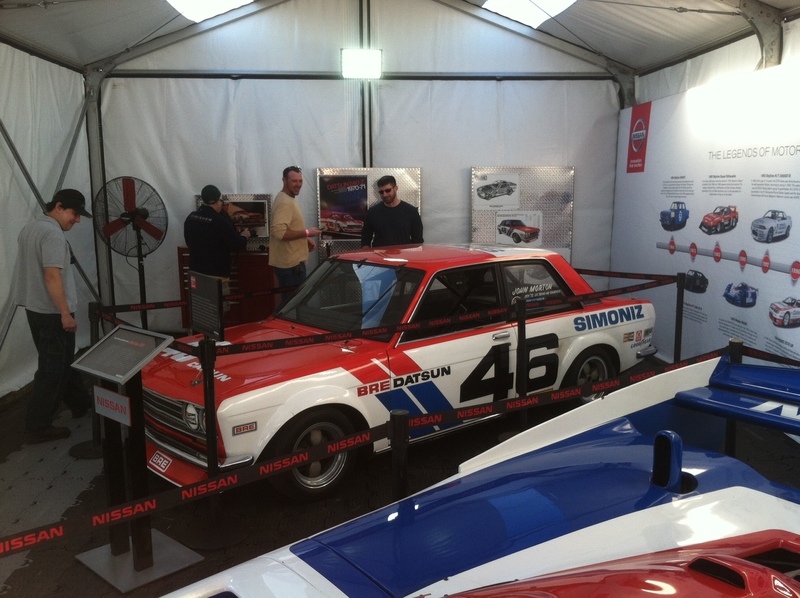 I decided to talk to some friends at the BMW Classic tent where they had the 3.0 CSL of Brian Redman on display and the Nissan tent where they had the number 46 Datsun 510 of John Morton on display. Both extremely iconic cars in their own right and some of the best looking cars I saw all weekend. 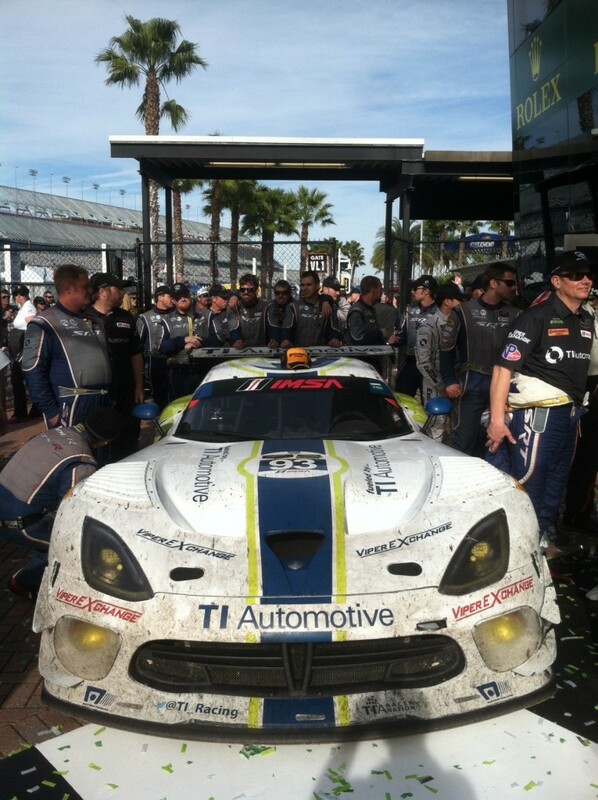 For the last hour of the race I headed to Pit Wall and the command center for the Vipers. Here is where everything goes down, the nitty gritty. 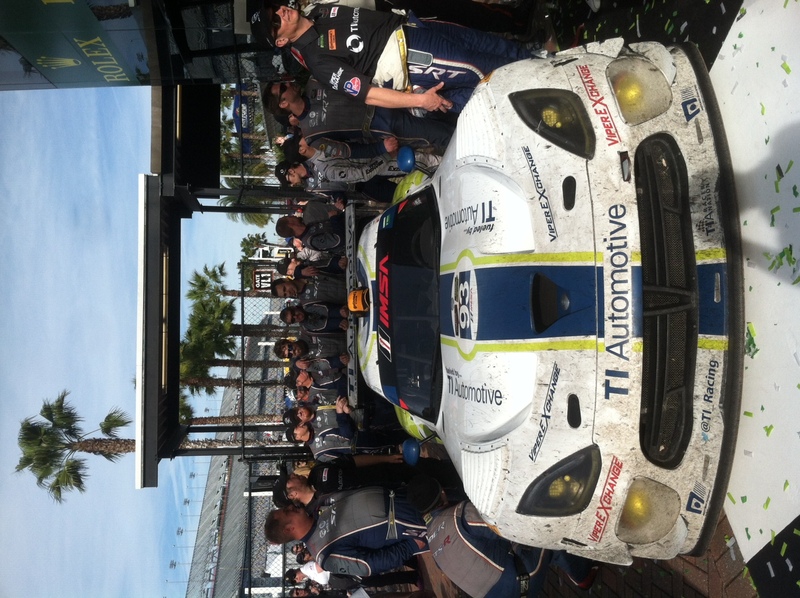 The Vipers were running in the GTDaytona (GTD) class this year, numbers 93 and 33. The #93 car that had started in the very back of the class due to a mechanical failure during qualifying, was on its last hour of the race and in 1st place in GTD! 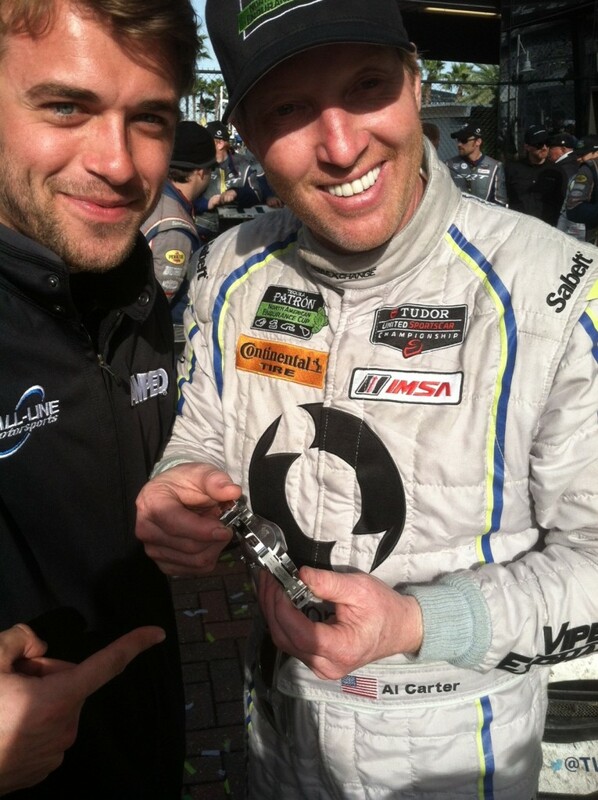 In the closing minutes of the race there was a caution due to a Prototype crashing and catching fire. Everyone in the command center instantly went silent and into a what seemed like a panic. The emergency crews went to work getting the car fire put out and crash cleaned up, time ticking away. 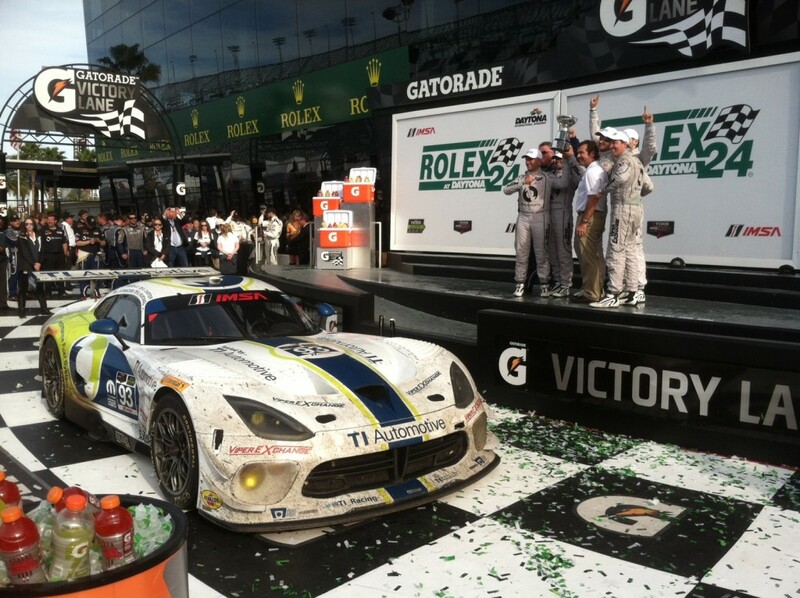 A green flag flew only minutes before the 24 was due to end and the team was really excited to see the finish come standing in the number 1 position for the weekends major race. 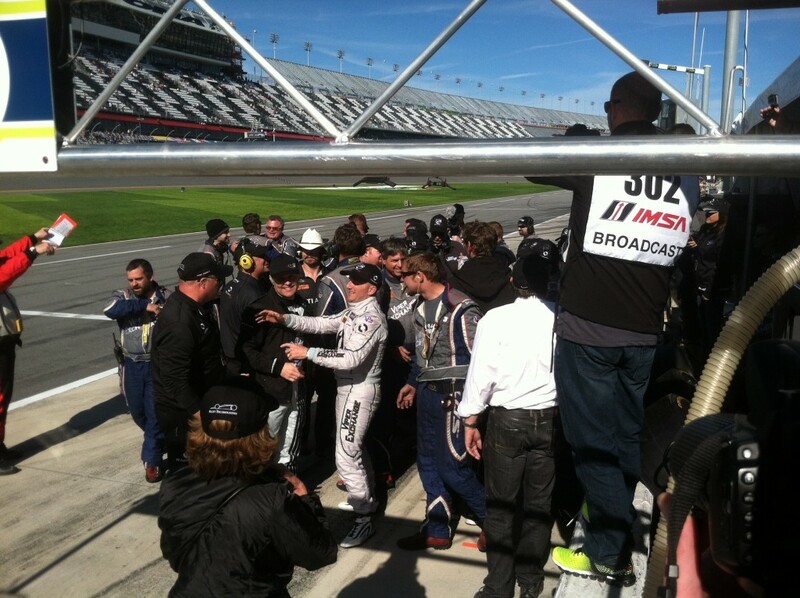 We all jumped the pit wall and ran to meet the team in Victory Lane. Overall, if you have the time and the means, definitely go to this race. 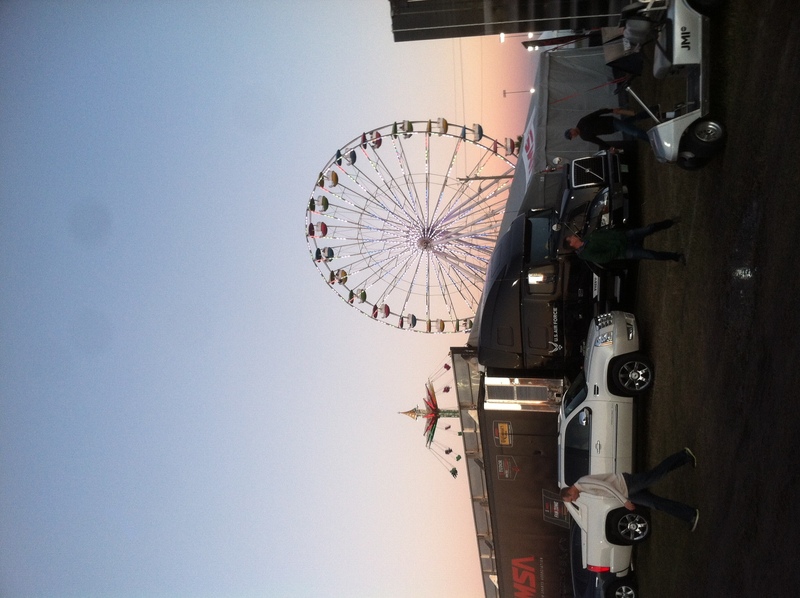 It is an awesome event and a great way to start off your year as a race fan of all kinds no matter what you are in to.